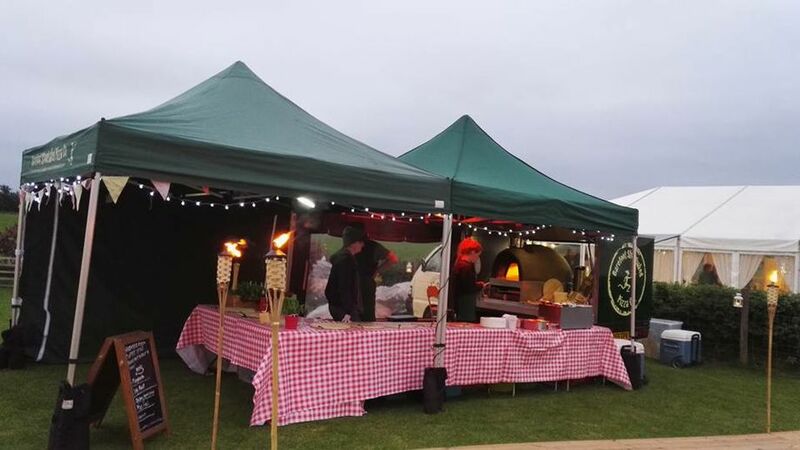 With an excellent reputation in the South West we are an experienced mobile wood fired pizza van caterer, specialising in artisan italian food for all your wedding or private event catering needs. 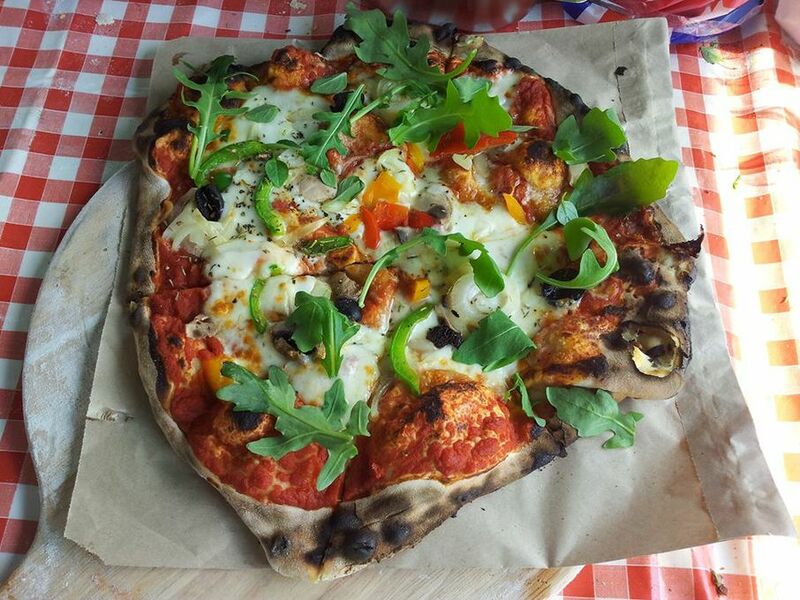 Your guests will enjoy watching their authentic Italian pizza being rolled, stretched and prepared and cook in 2 minutes in the intense heat of our wood-fired oven. We hired Gill & Rob to cater for our wedding evening & aren't we glad we did!! AMAZING!!! Everybody commented on how divine the pizzas were...the dessert 1s are to die for!! 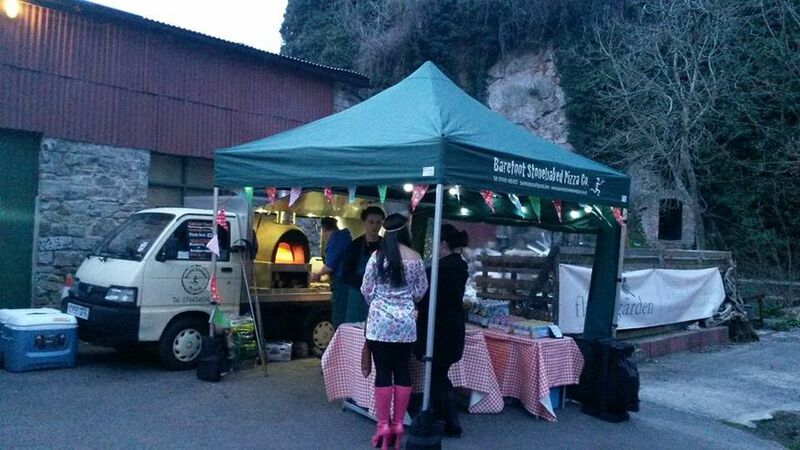 They arrived on time, provided a constant flow of pizza, the set up is super cute & they worked very hard!! Highly recommend...thank you so much! 5* many thanks. 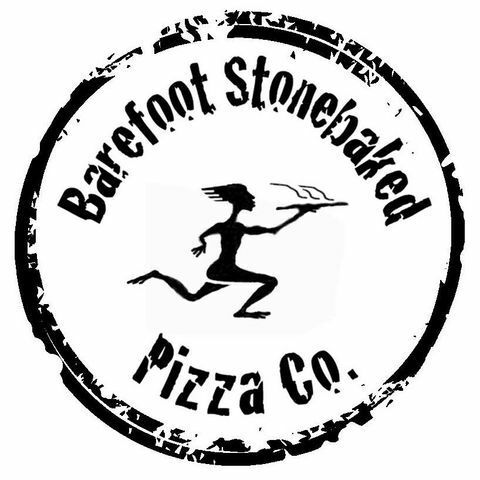 We hired barefoot stonebaked pizzas to cater for our wedding guests in the evening. They arrived on time and the set up and take down was very efficient and hassle free for us! The choice of pizzas suited everyone, old young, vegetarian, vegan etc and we had so many comments about how amazing the pizzas were! Our guests absolutely loved it! Thank you rob and gill for such a fantastic service! 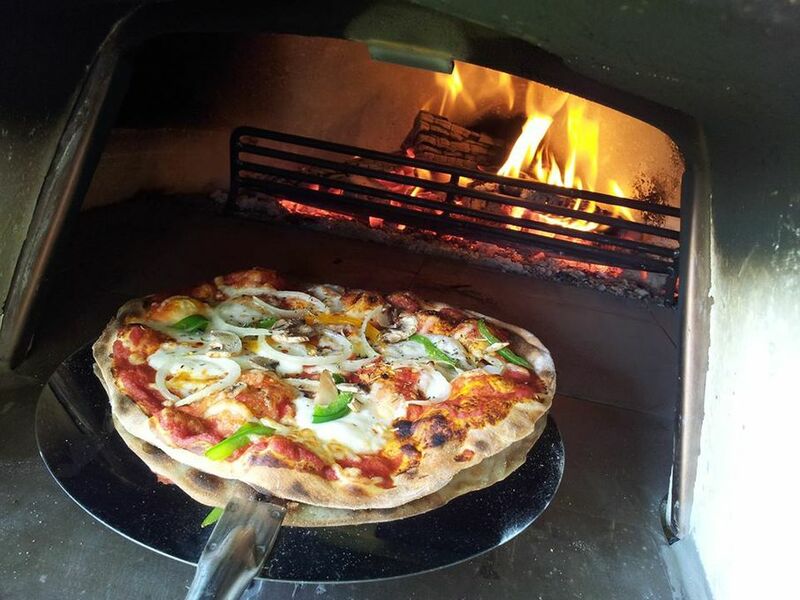 5 types of wood fired pizza toppings are offered for a buffet menu as standard, with optional sides, salads and desserts as extras if required. We can cater for vegetarian, vegan, gluten free, and are happy to discuss any particular other menu requirements. Wood fired pizza, along with sides, salads and desserts. Yes, a bespoke menu is available.